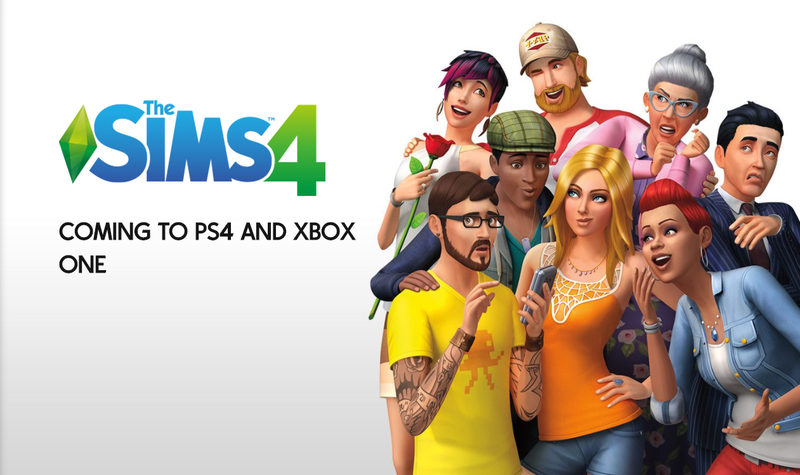 Electronic Arts Inc. (NASDAQ: EA) and Maxis today announced The Sims™ 4, the previously PC/Mac-only game that celebrates creativity, inclusivity and freedom of choice, will be coming to Xbox One and PlayStation® 4 players worldwide on November 17th. From Maxis and the talented team at Blind Squirrel Games, The Sims 4 will be available worldwide on November 17, 2017 for Xbox One and PlayStation 4. Pre-order The Sims 4 on console now and receive The Sims 4 Perfect Patio Stuff pack, featuring hot tubs and tons of bonus décor for your outdoor oasis. Players who can’t wait to get The Sims party started can pre-order The Sims 4 Deluxe Party Edition today and receive the full game three-days early on November 14th. The Deluxe Party Edition includes special content like a Flaming Tiki Bar, outrageous costumes, silly animal hats and more, plus The Sims 4 Perfect Patio Stuff featuring hot tubs. For more details and to pre-order The Sims 4, visit www.TheSims.com/Console . EA Access members will also get to play The Sims 4 up to five days before its worldwide launch, starting on November 9th, via the Play First Trial. This entry was posted in 2, Developer, game, games, Games Developer, train, train 2 game, Train2Game, www.train2game-news.co.uk and tagged Console, developer, development, EA, game, Games design, Games Development, games industry, Maxis, PlayStation, The Sims, train, Train2Game, Xbox One by Train2Game Blogger Team. Bookmark the permalink.